Facebook is a great place to connect with people. Unfortunately, it has also become a place for Spammers and scams. Without knowing, you could be dragged into a conversation because of a Friend of a Friend and be sent a message like the one above. Since the iPhone5 does not exist, it’s obviously a scam. Worse, by clicking on the link, you could be sent to a webpage which could capture your Facebook account (access your account and take control of it)! The more aggressive response is to report it as Spam. 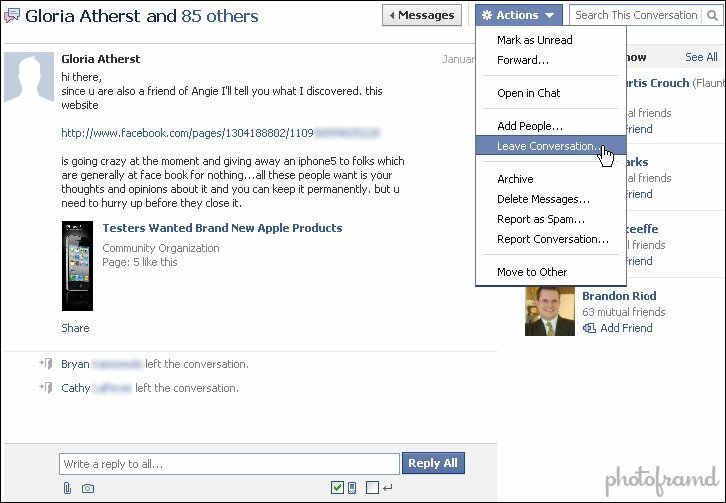 Hopefully, Facebook monitors such Spam reports and will ultimately take action against the Spammers. At the very least, the entire conversation is removed from your message area. 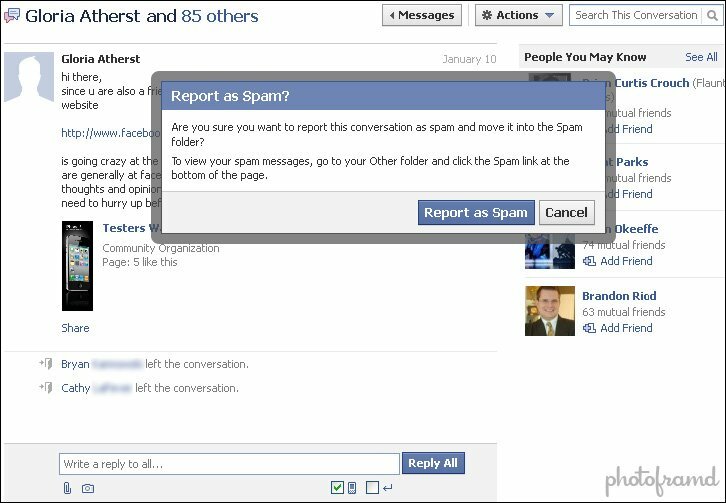 Unfortunately, just like your email program, Facebook will continue to collect these messages in a Spam folder. Under Messages, click on Others and then scroll to the bottom of that page. You will see a link for Spam; click it access your Spam folder. 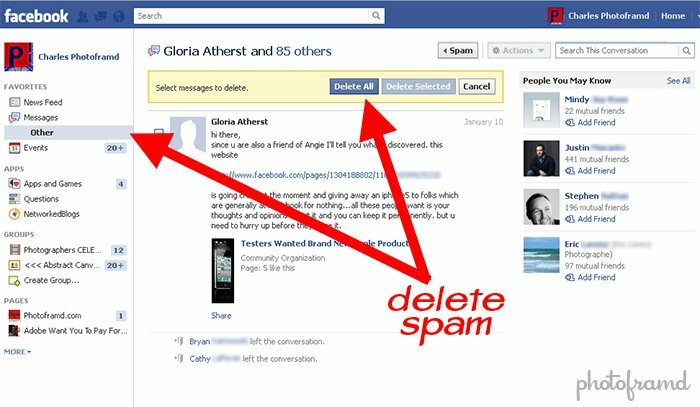 From there, you will need to individually delete each spam message. I am curious to see how Facebook treats repeat offenders.